A 500-year-old Austrian count has taken up residence at the Roy Bowen Theatre, and he's on the hunt for human flesh. Fourth-year theatre major Dakota Drown stars in the production Michael von Siebenburg Melts Through the Floorboards as Michael von Siebenburg, the immortal count in question who has survived the ages through cannibalism, first dining on his fallen comrades on the battlefields outside Constantinople, and more recently, his blind dates. Theatre student Dakota Drown as Michael von Siebenburg. 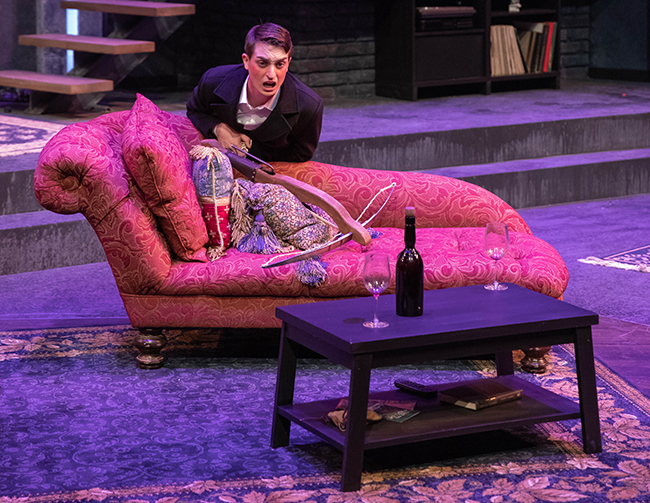 Directed by Jennifer Schlueter, associate professor of theatre, and theatre graduate student Karie Miller, the dark comedy is a display of misogyny and monstrosity, peppered with pop culture references. Although the play is based on the 2012 script by Greg Kotis, the production team from the Department of Theatre added their own twist. 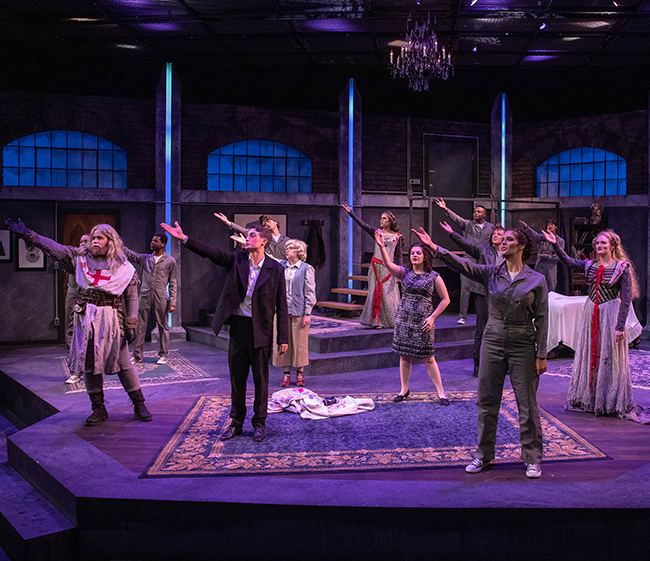 The Chorus of The Recently Eaten, a group of ghouls meant to represent von Siebenburg's past crimes, breaks up the show's darker moments with playful musical interludes. With healthy doses of ghosts and gore, Michael von Siebenburg Melts Through the Floorboards is a smart, funny and gruesome show, perfect for the spooky season.